Truck Lifts From Mild To Wild! 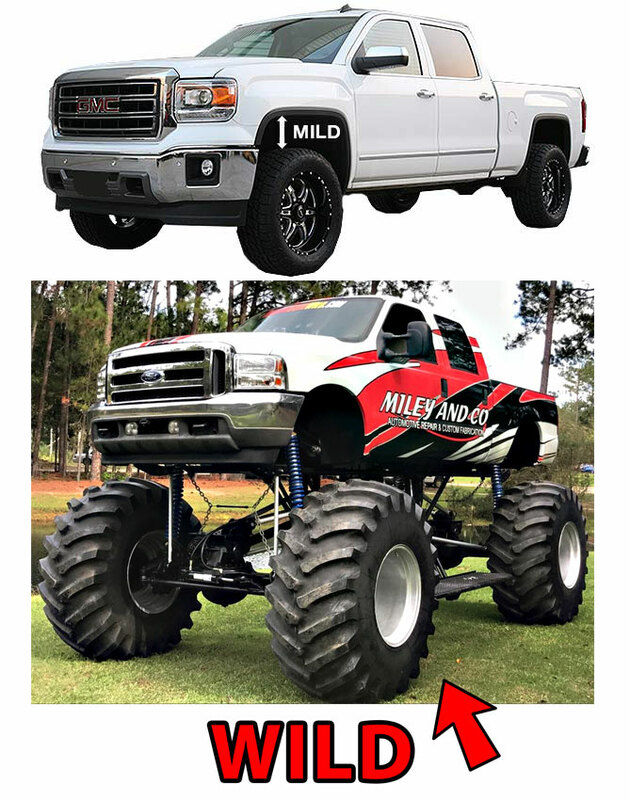 MILEY and CO. is a full service Auto Repair Shop and THE 4×4 specialist in Tifton Georgia. We do body lifts, custom suspension lifts, chassis work, electrical, Auto Repair, restoration and anything your gas drinking machine needs to keep your neighbors jealous! Big truck and extreme machines are our passion! We are certified welders with years of experience with truck lifts and automotive fabrication. A trusted auto repair shop in Tifton Ga for over 20 years. Miley and CO. provides general auto repair on most makes and models, old and new. We charge a fair price and get the job done in a timely manner so you can get back on the road.